Bianca Eulitz is a certified Personal Trainer (ACE) and a licensed Massage Therapist (LMT). After having done traditional personal training for several years, she discovered her love and interest in neuromuscular therapies, pain dysfunctions and how to approach them. 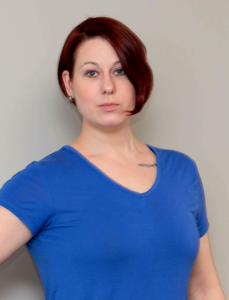 Bianca has studied Dynamic Neuromuscular Stabilization (DNS), which focuses on diaphragmatic breathing and posture, and she holds certifications in Neurokinetic Therapy (Level 3), Proprioceptive Deep Tendon Reflex, and Cranials-Opening Space. She’s not only interested in helping clients become stronger and losing weight, but more importantly how to move efficiently, effectively, and without pain. By combining strength and conditioning exercises, kettlebell training, and primal movement drills in her training sessions, Bianca gives her clients the ability to move better and pain free, as well as rehabbing any existing injuries.